With all the new strategies out there, which are the best, what combination should you use them in, and where do you even start...? Get on your way, or further down the road you’re on, with a plan that comprehensively spells out what to do and how to do it. 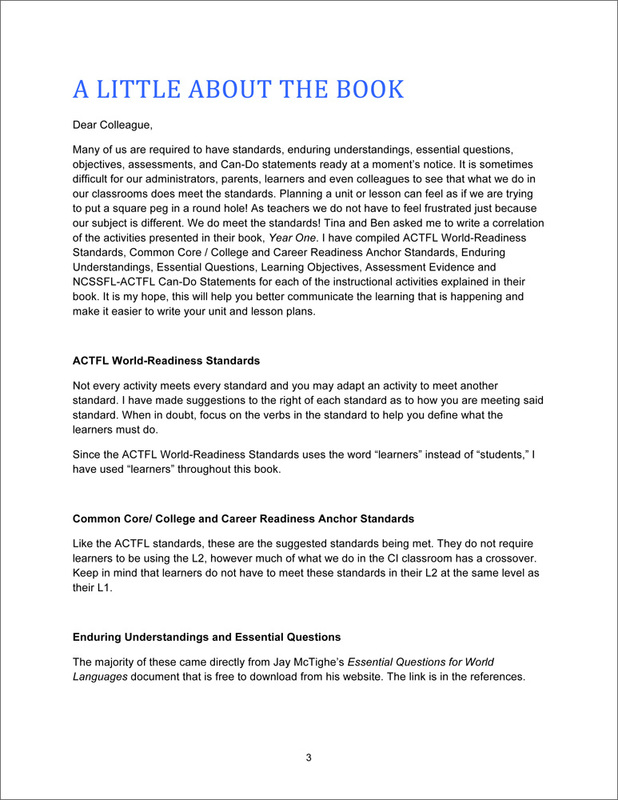 Because all aspects of your teaching practice affect each other, you can’t assess in a way that doesn’t match your instruction, or provide the highest quality instruction without classroom management that is well in hand. 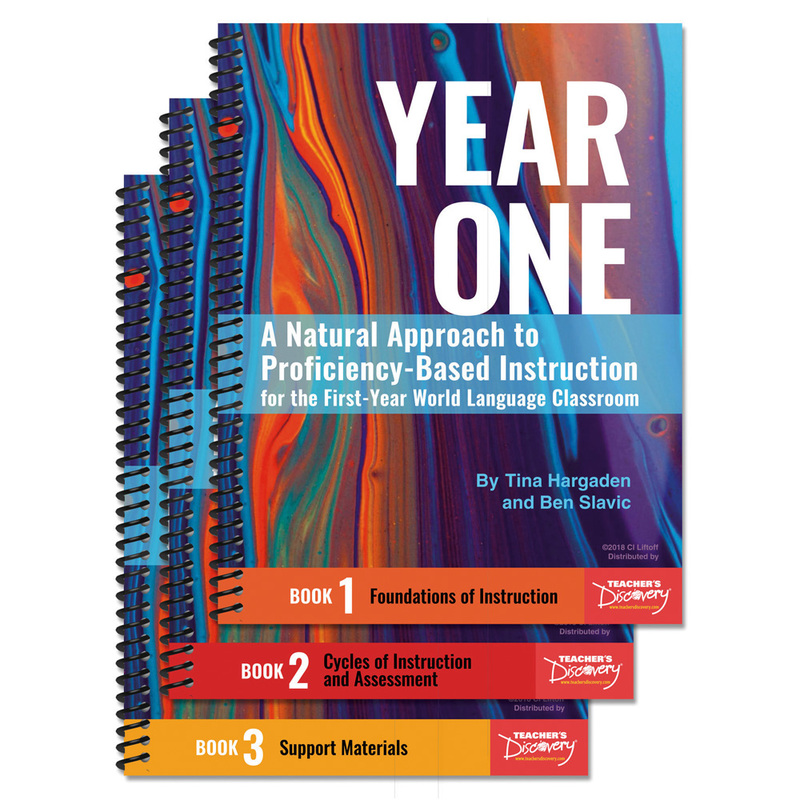 Year One contains a complete plan for a first year of world language instruction, from what you’ll undertake day to day in your classroom, to how to assess in keeping with your teaching, how to plan lessons to meet the national standards, how to get the behaviors you need from students to maximize their success, and even some friendly advice on maintaining sound mental health in the process. 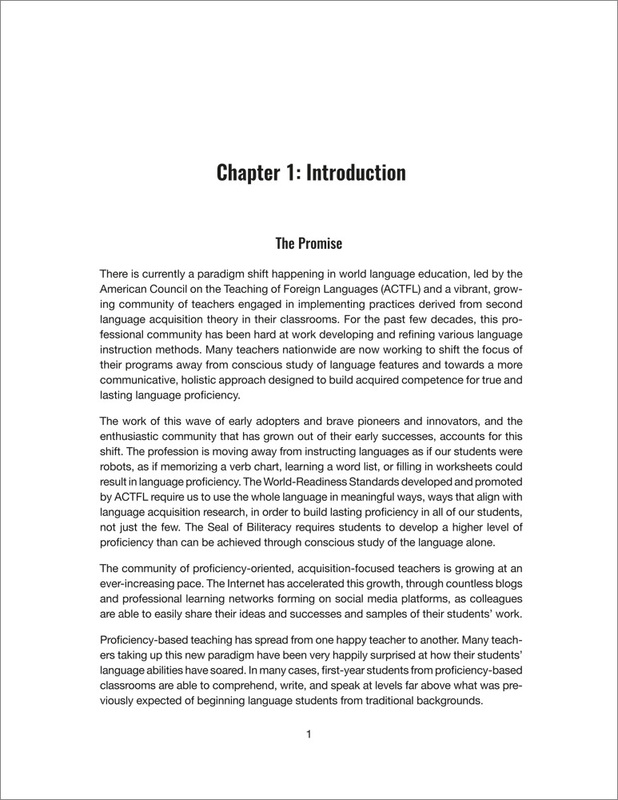 ...grounds itself firmly in second language acquisition theory and the directives of the American Council on the Teaching of Foreign Languages (ACTFL). Part with the methods of the past, knowing that decades of research and authorities in the field of WL education are leading the way. 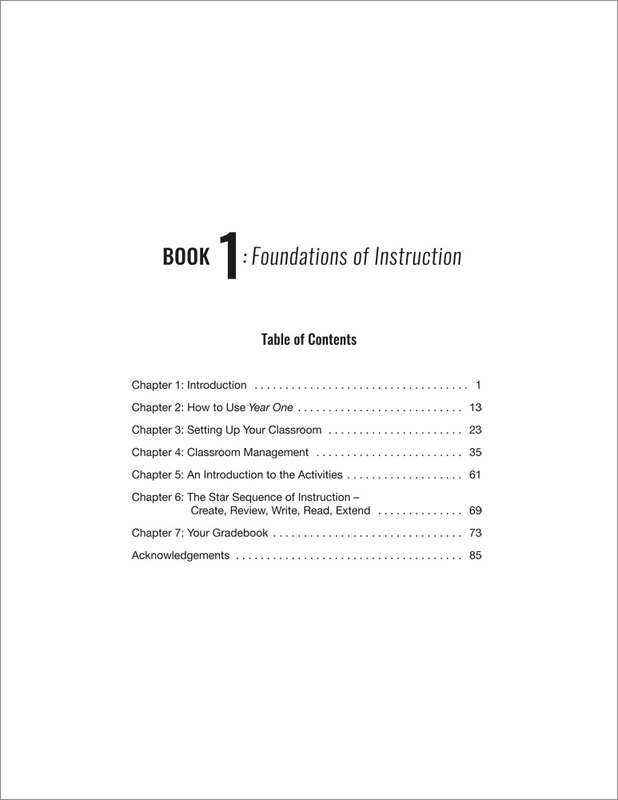 ...sets you up for success with systematic, preemptive classroom management procedures. 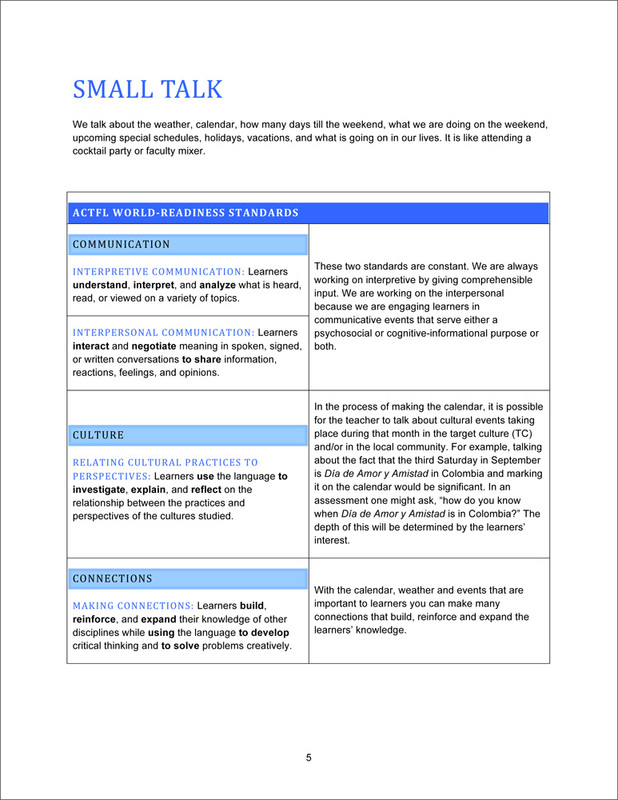 Communicate expectations to students and parents clearly from the start, begin to identify and address potential behavior problems on day one, and reap the benefits all year long. 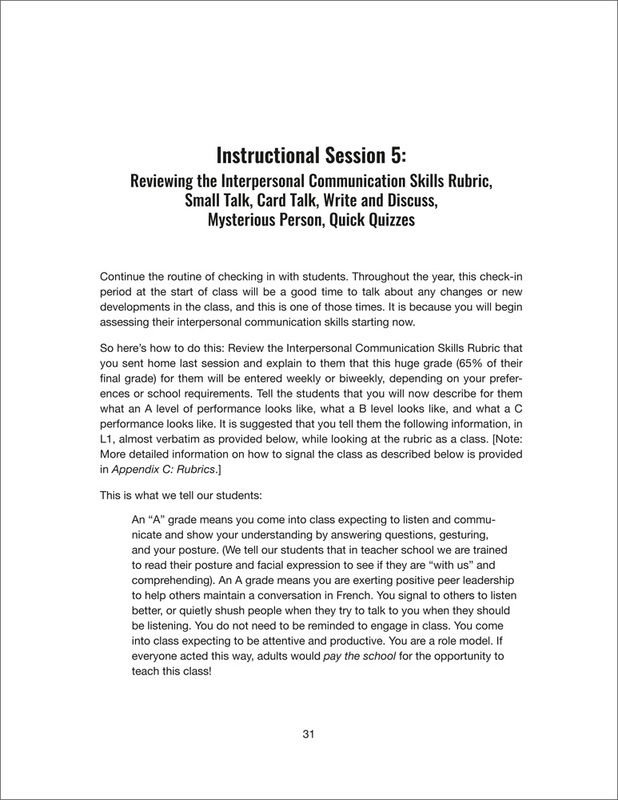 ...introduces strategies for the delivery of CI according to a pacing guide that takes you through the entire school year, building your confidence and skills as you go. 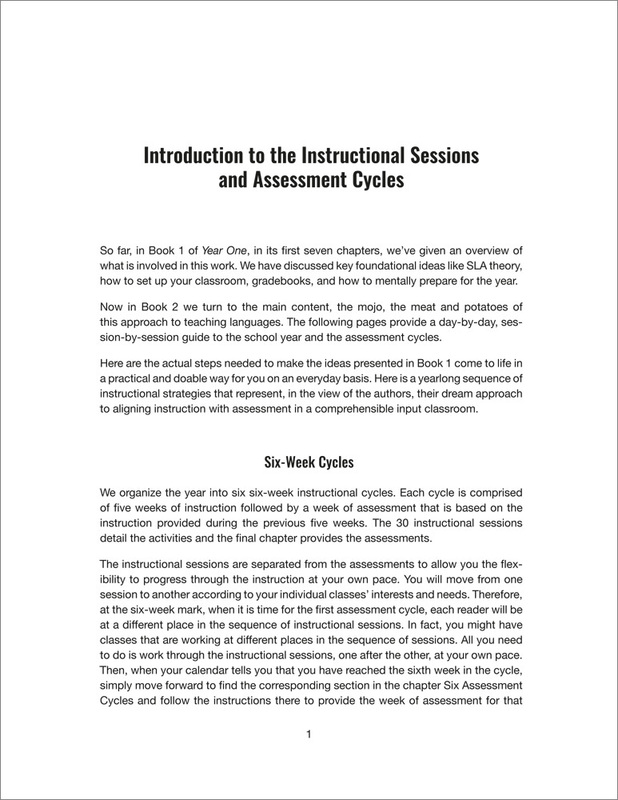 No need to hunt for, collect, consider, sift through, and cobble together activities; just follow this (flexible) plan and move through it at a pace that is right for you and your students!  ...proposes a gradebook that aligns with your values. 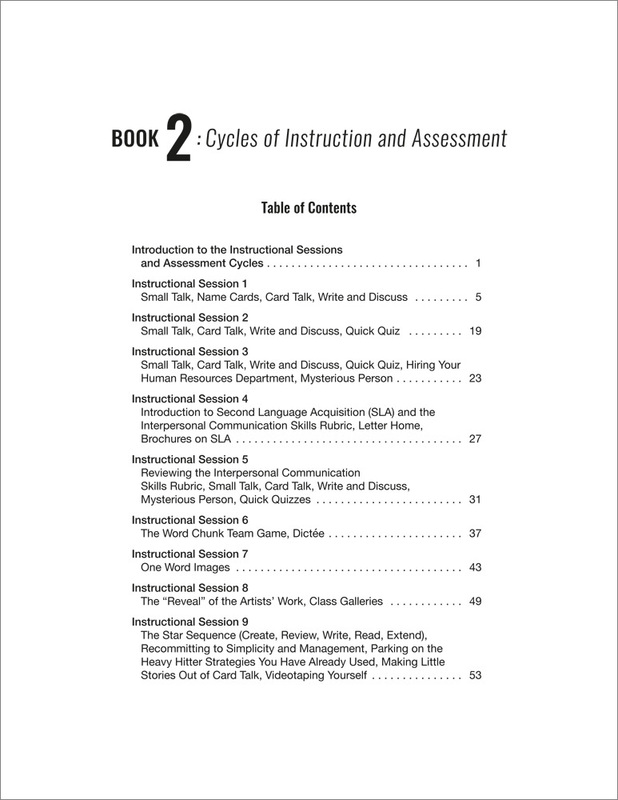 At the beginning, assess students only on what they can control: their cultivation of the skills and habits that will further their development as language learners. When it’s time to measure proficiency, make that process painless and productive for your students. 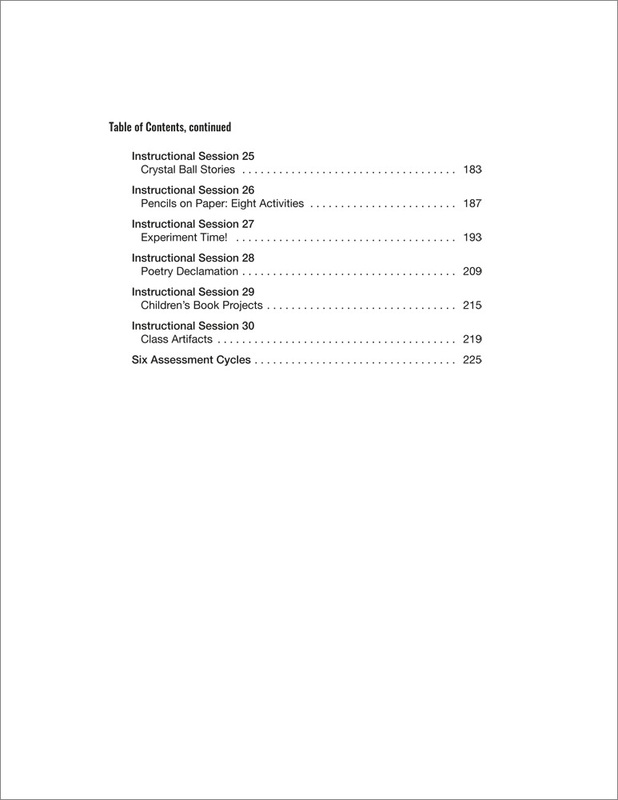 ...provides extensive support materials to make implementation easy. 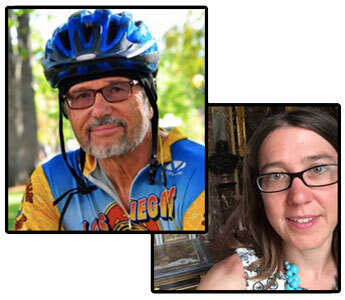 ...includes special contributions by Martina Bex, Mike Peto, Anne Matava, Jim Tripp, and more! ©2018. English. Set of three books. 506 pages total. 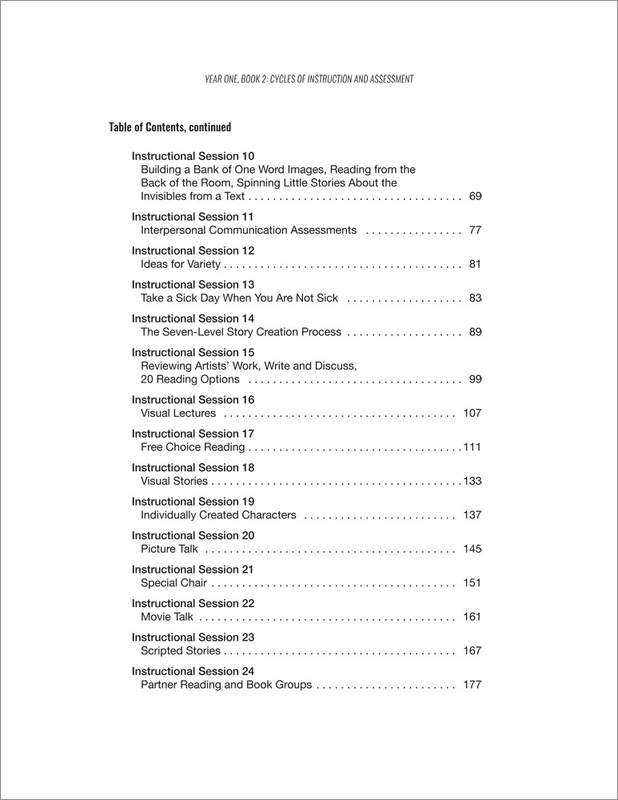 Book Downloads: PDF. Adobe® Reader® required to view PDF. 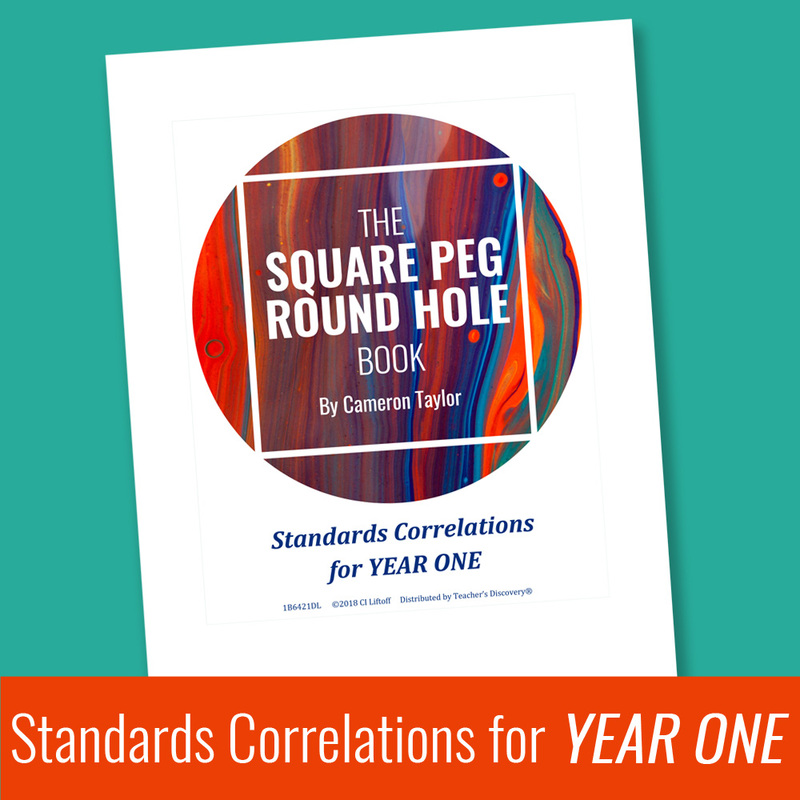 Want Standards Correlations for All of the Activities in Year One? 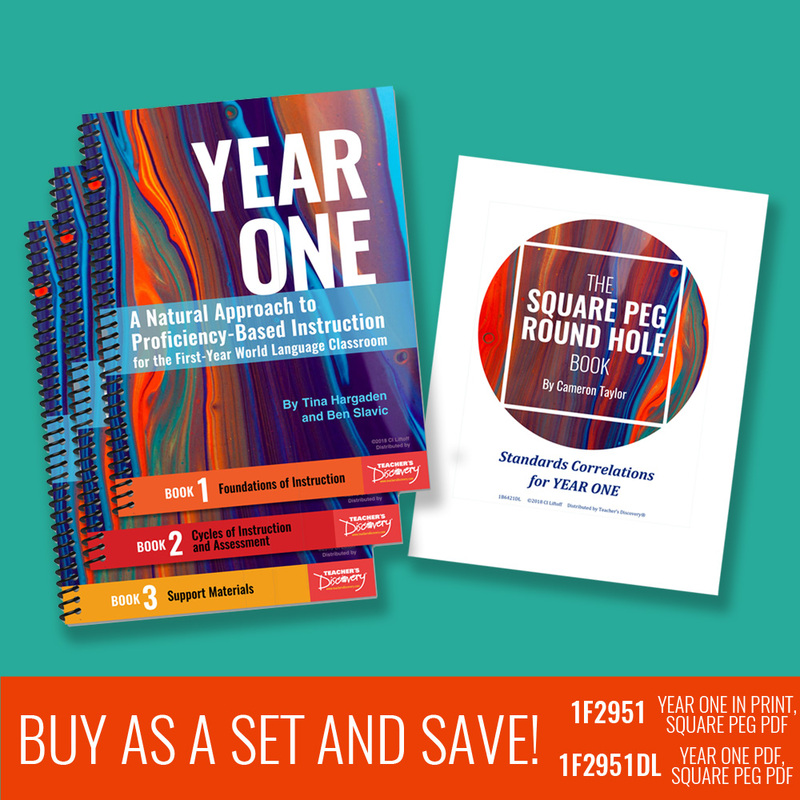 Buy The Square Peg, Round Hole Book and Year One Books together and save! 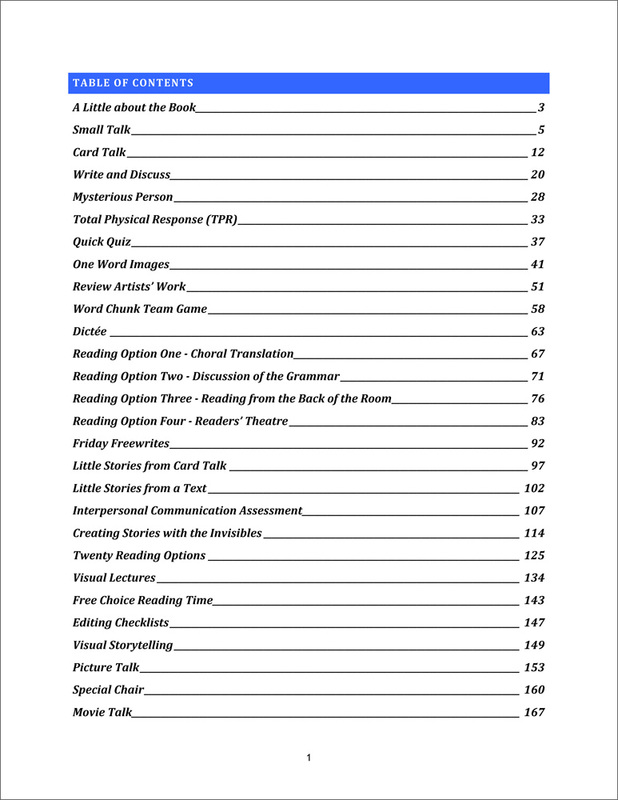 Order 1F2951DL to get Year One Books and The Square Peg, Round Hole Book both as PDF downloads. 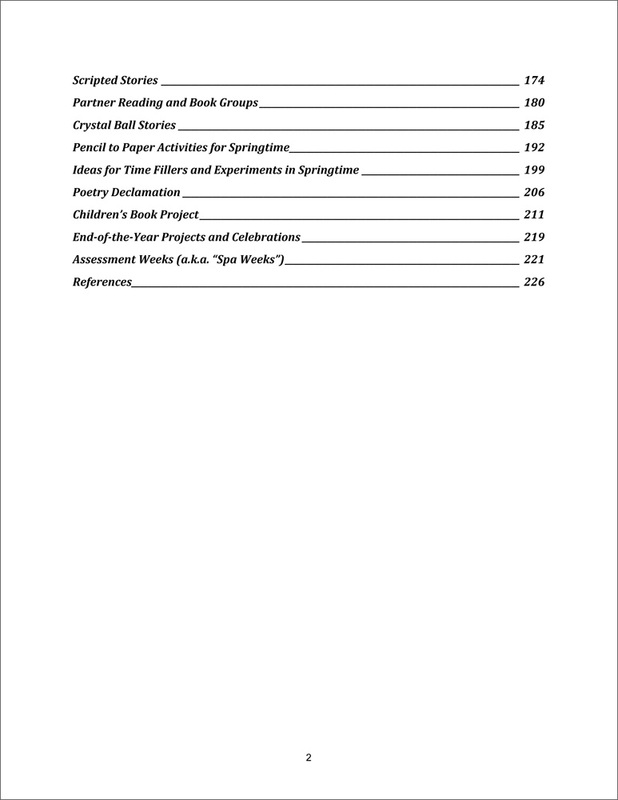 Order 1F2951 to get Year One Books in print, and The Square Peg, Round Hole Book as a PDF download.  For more information on The Square Peg, Round Hole Book, see 1B6421DL. This trilogy of books are extremely well organized like no other CI books I've previously purchased. They are extremely supportive of my teaching practice and my students are benefiting tremendously. 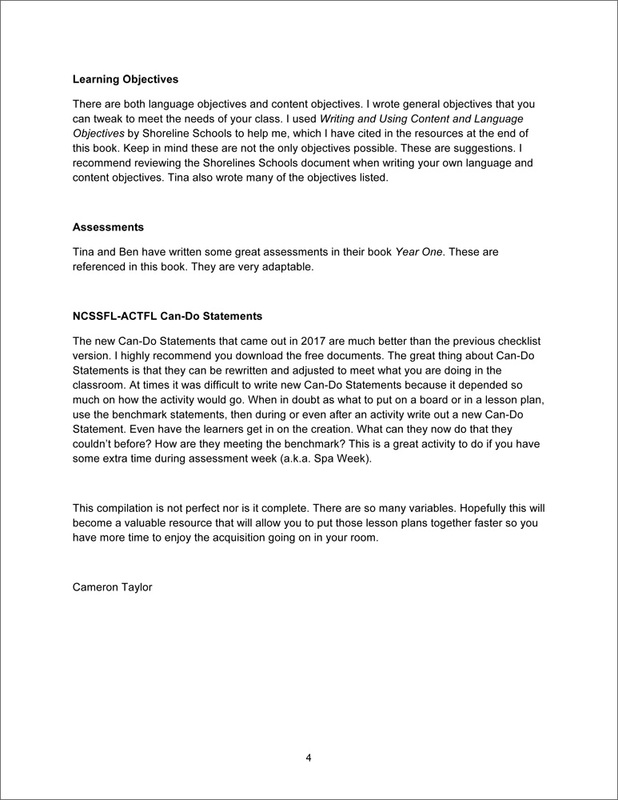 On a Friday during the last hour of the day, my high school French class was completely engaged in the lesson because I was practicing the methods clearly outlined in the book. 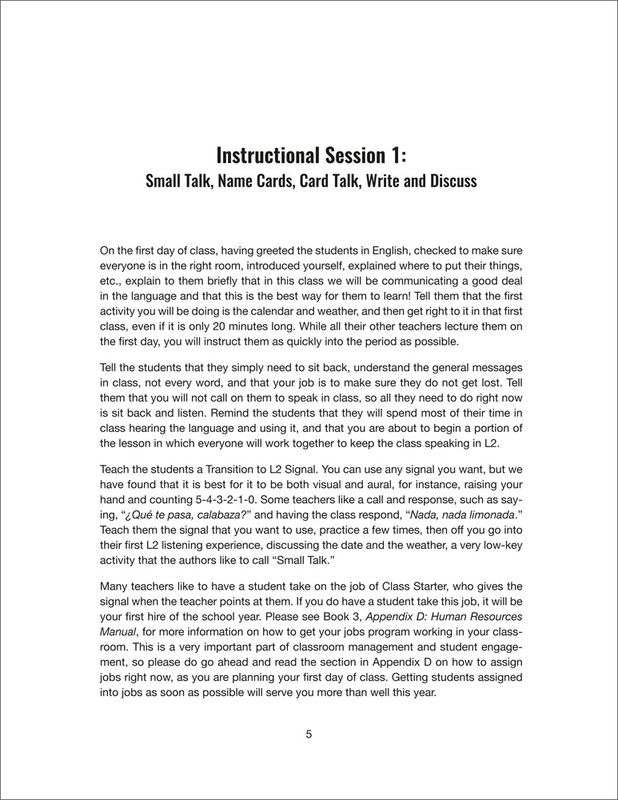 Assigning jobs to each student in your class is ridiculously helpful and is an excellent classroom management plan. 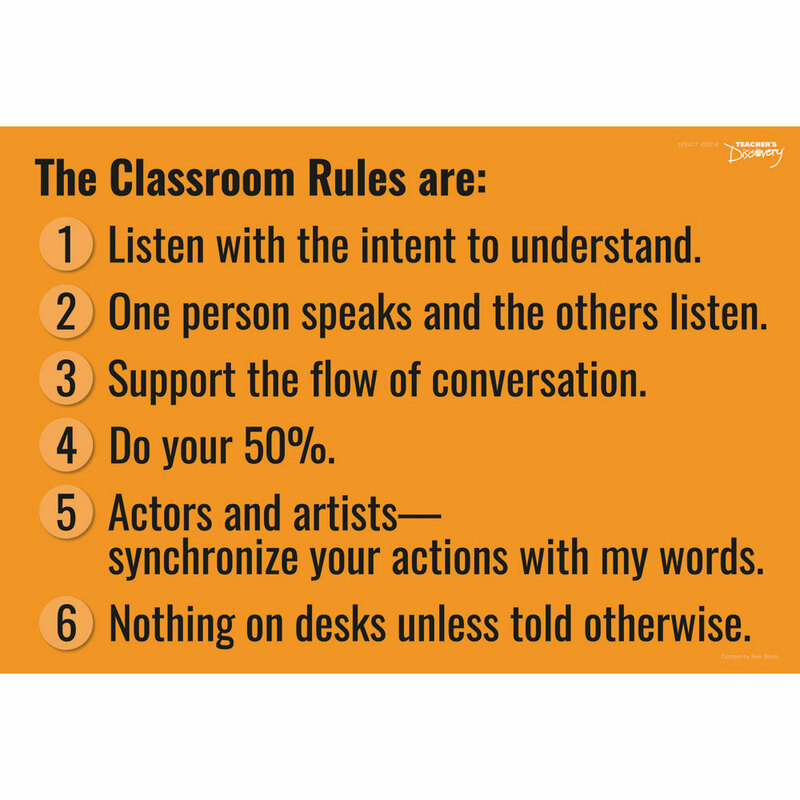 I used to use extra credit tickets with students and I've eliminated that policy this year because I feel it would undermine the internal locus of control that my students are developing in my new, CI classroom. Youppi! 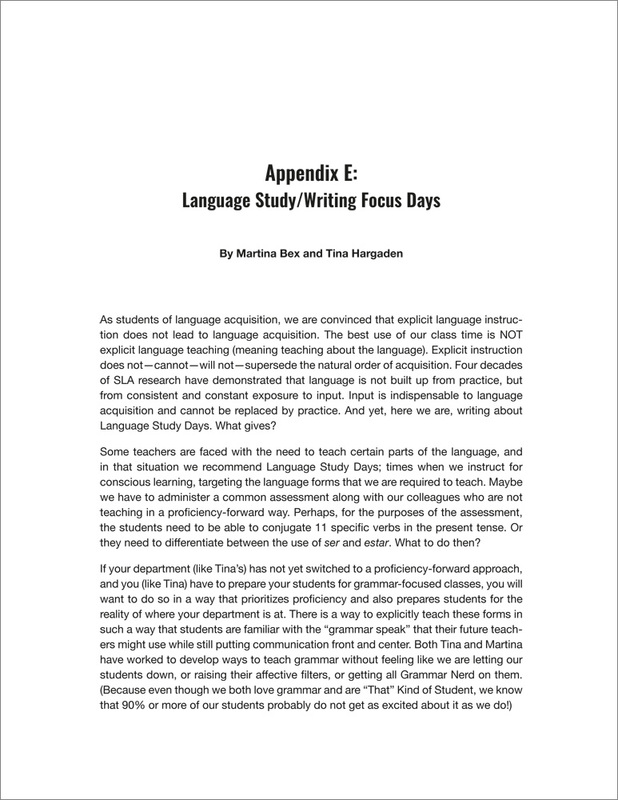 Year One is a truly phenomenal resource for anyone gearing up to teach language acquisition in a proficiency-based classroom. 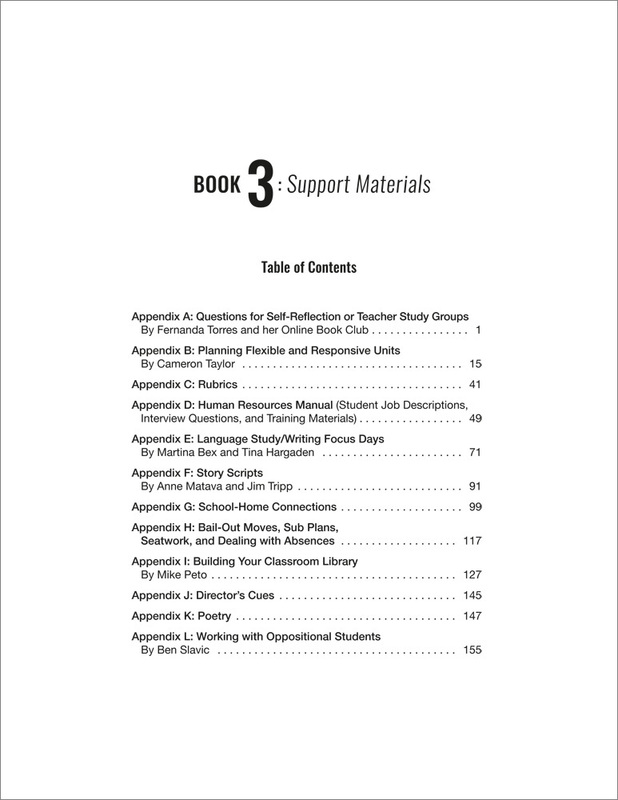 Reading it is like having a supportive colleague guiding you through a variety of strategies for a year of comprehensible input. 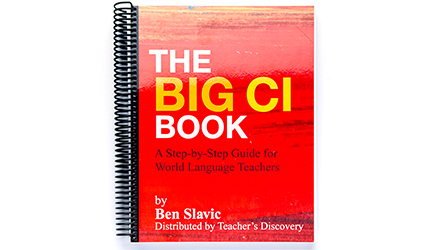 And don't let the title fool you - it's really not just for the first year, like French I or Spanish I. The activities can be used in all levels, though upper levels can be modified and may go through activities at a faster pace. 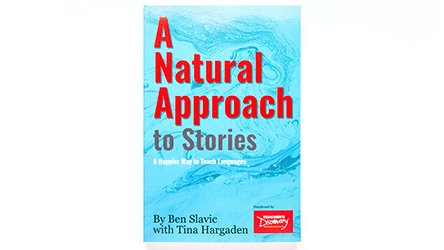 It's really comprehensive and I highly recommend it to language teachers of all kinds!